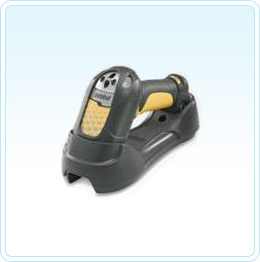 The Motorola LS3578-FZ rugged bar code scanner features fuzzy logic technology, which allows first-pass reads of nearly any 1D bar code, even when the bar code is dirty or damaged. Integrated Bluetooth® guarantees reliable and secure wireless data transmission between the scanner and host. The wide working range allows operators to move freely without being restricted by a cord. A rugged, drop-resistant design and a sealed housing provide reliability with less accident-related equipment failure and downtime.